Collar/Tags: he just has a choke chain on. 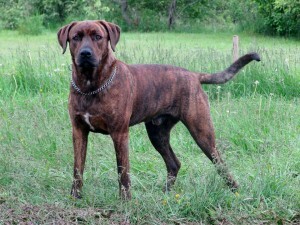 Additional Notes: He is like a brindle colour and has short hair. He does not get a long with other male dogs and he doesnt like cats. He’s a very protective dog over his family and himself. I had let our other dog out to pee this morning and put my shoes and coat on to take Camo out and by the time I got around our house he was gone. He usually gets tied but with the cold weather and snow lately we have been just taking him out letting him do his business then bring him in and hes been very good at listening. 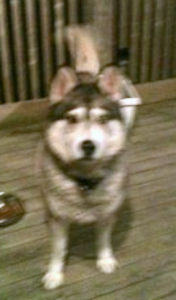 I dont know if their was another animal outside he saw and took off or what happened but we havent seen him since. Collar/Tags: Grey and Black collar – TAG: I believe it has either a rabies tag from Chester Basin animal hospital on it or a tag with Roaming Rovers on it and our phone number. Additional Notes: Thick white black and grey fur. has one blue eye and one half blue and half brown eye. He has grey on his foot that you can tell it shouldn’t be there, that’s from his constant digging at the kennel door, and why he needs to be wired under his kennel because he is pro digger outter! Shadow is friendly but will not likely come to strangers. he will likely stand far enough away for you not to be able to catch him. he comes to me as soon as he sees me. I suspect he is still the the Fall river/ Fletchers Lake/ Wellington area. if you do site him please call me and I will come there asap. Additional Info: I saw him yesterday (November 15) and pulled over but he/she was very timid and I had no luck approaching him. Animal control were unable to find him after I called. 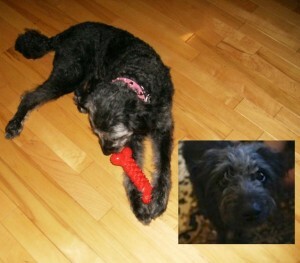 Please keep an eye open for him/her… Approx. 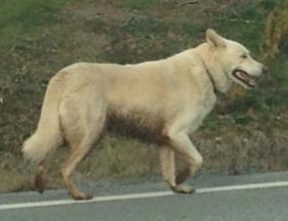 50-60 pounds, all white… Looks like a white shepherd or lab mix… The same dog was spotted by someone else on November 8th and November 11th (antigonish spca Facebook page) so he/she has been roaming for a whole week! Collar/Tags: No collar or tags. Wearing a Orange Dog Vest when last seen. Additional Notes: He is a very timid dog. He is bigger built and in good shape. His fur is short and redish brown and has brown eyes. He was last seen wearing a orange dog vest with yellow reflectors on the side. 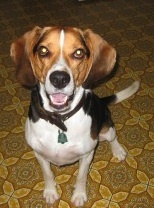 He moves (jumps/runs) like a deer in the woods… so please keep an eye out for him. Additional Notes: Buff in colour. A little bit deaf. Additional Notes: Molly is black and grey, has curly hair and is a medium/small size dog. She is very friendly. 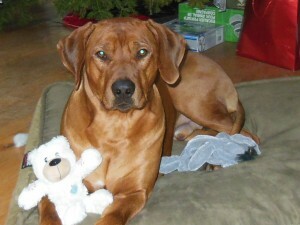 Additional Notes: Our neighbours, who are here on Vacation from BC, lost their dog last night. They were on the beach and the little dog bolted when some fireworks were set off. They have not seen her since. Her name is Daisy. She is a small breed like a Shitzu…beige in color and does have a tag and collar. 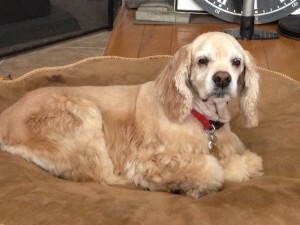 Her owners are devastated and leave for BC at the end of the week. Please be on the lookout for this little gal. 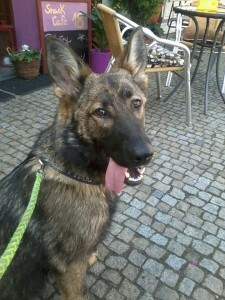 She has not had time to become familiar with her new summer home and surrounding area so she will be terrified. Additional Notes: Please return our Bentley !